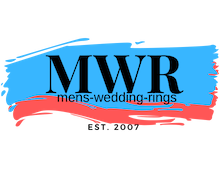 A perfect mix of modern and historical elements, this durable tungsten ring is equally ideal as a contemporary wedding band, engagement ring or promise ring. 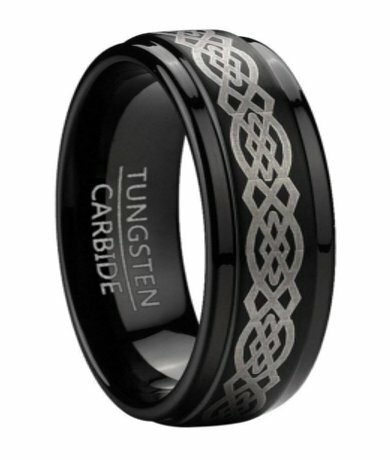 This 9mm comfort fit men's black tungsten wedding band features a polished finish and an eye-catching Celtic knot design lasered around the ring.Comfort-fit rings should be ordered 1/2 size smaller! This a great ring. Smooth edges feels great on my finger. Beautiful Celtic Knot design. Highly recommend this ring. The wedding band is solid, heavy and very smooth. I'm excited to put it on my fiancé's finger on April 4th, 2014! !